Auto Talk Live is the one podcast that talks everything Automotive with a no bull perspective. On and off the road, in and out of the dealership. 04-15-2019 Auto Talk Live Podcast with Spoilers Rumors and recalls. Listener shout outs plus the top 35 cars JD Power says to stay away from. Auto Accessories and more. A 12 Billion dollar industry and growing. Sean's new Hellcat as well as updates on upcoming test ride vehicles. Final thoughts of the show. 04-14-2019 Auto Talk Live Podcast featuring Spoilers Rumors and Recalls. Listeners Emails and replies and we elaborate on how important your Credit score and credit is important when it comes to buying a car and more. Helpful tips to help you get a better interest rate and more. 04-12-2019 Auto Talk Live Podcast Logan Tate interview from Tate Bros Motorsports. Listener questions and 2019 Infiniti QX50 test drive. 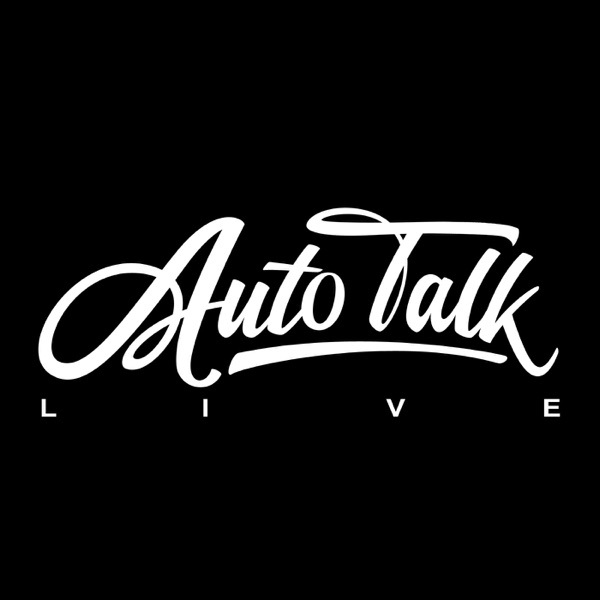 04-11-2019 Auto Talk Live Podcast. We discussed Spoilers Rumors and recall news, Sean and the infamous Hellcat search. The best auto parts store DIY cleaners from Waxes to Glass cleaners to everything in between. 04-09-2019 Episode of Auto Talk Live were we discussed Spoilers Rumors and Recalls in the automotive world. Tech on newest cars and the importance of salespeople showing it to you, Listeners emails and responses and final thoughts. 04-08-2019 Auto Talk Live Podcast. 2020 Shelby GT500 news, Tesla being investigated yet again, the importance of maintaining your ride and helpful tips. Also Are you a candidate for a Hybrid or regular Gas Auto? Insight to make your decision. 04/07/2019 Auto Talk Live Podcast were we discussed latest auto rumors. Need for Automotive Technicians and what they can make. Top ten list of new vehicles buys for 20k or less. Listener questions related to Automotive needs. April 4, 2019 Auto Talk live podcast show that discussed Latest news in automotive world, Ford and Chrysler Sales issues. Texting and driving. Rocky Ridge off road company. My buddy Sean and his search for the unicorn Hellcat. April 2, 2019 Auto talk live podcast episode discussing new automotive rumors, new 2019 Honda Passport test drive, The Batman movie car Tumbler as well as Car Salesmen at the dealership and there knowledge of the cars they sell and more. April 1,2019 Auto Talk Live April Fools Edition podcast talks about new pricing announced for Gladiator, Beetle dying and Road trip and more. Auto Talk Live episode talking about New Jeep Gladiator, latest rumors in the automotive world and more. Movie cars, and Hollywood A listers and there cars plus more.